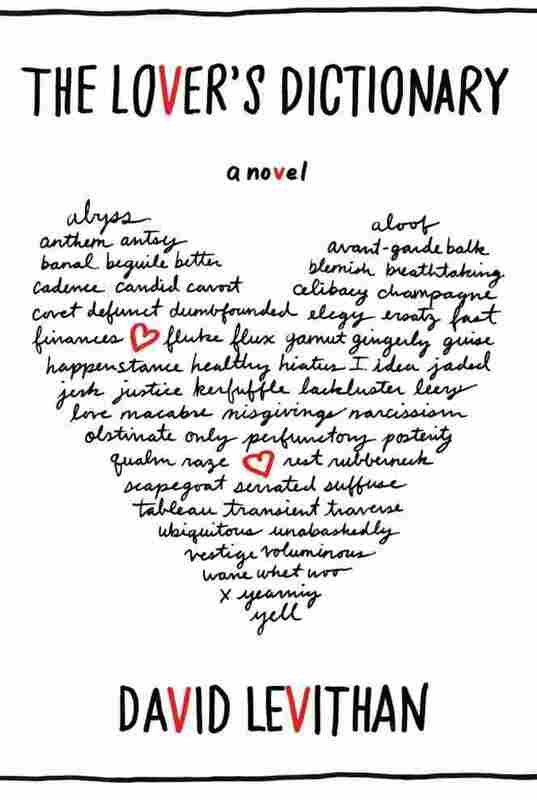 Defining Joy And Heartbreak in A 'Lover's Dictionary' In The Lover's Dictionary, young adult author David Levithan tackles the grownup material of love and squalor, piece by piece, in a dictionary format. Over the course of the novel, the small details about two lovers combine to create a heartbreaking (and often uplifting) whole. Can words alone define a relationship? Maybe not, but author David Levithan pushes the boundaries of the language of love in his new book, The Lover's Dictionary. From A to Z, Levithan (who by day serves as an editor at Scholastic and has written several best-selling young adult novels, including Nick and Norah's Infinite Playlist) defines the good, bad and ugly moments of a relationship — and explains that the book began as part of a Valentine's Day tradition. Ever since he was a teenager, Levithan has been writing a Valentine's Day story for a group of family and friends. A few years ago, with the deadline looming, he found himself out of ideas. Then he noticed a book sitting on his desk called Words You Need to Know. "I looked at it and I thought, oh, this could be interesting" he says. "Could I tell the story of a relationship by just randomly picking words in alphabetical order from this book and then writing entries as if were a dictionary?" Levithan says the story and the characters revealed themselves entirely through the words he picked as he turned the pages of the book — and he chose them all in alphabetical order. Like all love stories, this one has its romantic moments, but it doesn't take long to realize that the two lovers Levithan describes also have some major problems. "I didn't know what those problems necessarily were until I started writing," Levithan says. "They came up pretty quickly. There's a drinking problem, there's an infidelity issue. And those actually all started to rear their head in 'A,' and that became the crux of the conflict throughout the book." There are a lot of people on Valentine's Day who don't really want the construction-paper heart version of love. One moment, this couple is falling in love, settling in and moving in together — and the next, they are hurt, angry and mistrustful of each other. Their story tumbles out in a torrent of words; nothing about it unfolds in a linear way. Levithan says that was quite deliberate. "I did want to just keep shifting the recollections and shifting the pieces of the relationship that the narrator is writing down, because I feel that's how remembering a relationship works," he says. "When you think about a relationship, you think about a good thing and then a bad thing. You have something that really annoys you, but then you remember a really sweet and tender moment, and that's the complicated nature, I think, of all relationships." Some of the definitions in the book are as short as one word. Celibacy is defined in two letters: N/A. Other words evoke little stories that take the reader deeper into the relationship. At one point the narrator seems to lose faith in words, to doubt whether they really can convey the truth of what has happened, and is still happening, between these two people. Levithan, however, says he never lost his own faith in the power of language as he wrote the book. Words may fail at times, but without them, he says, love would falter. "This is a glimpse of a relationship. It cannot be the entirety of a relationship between pages," he says. "You can't do that. I think the question is whether the narrator is correct here, saying no matter how many words there are, there will never be enough. I think absolutely there will never be enough to represent life. But certainly there can be enough to actually navigate life and get through life and find happiness and love." The Lover's Dictionary, Levithan says, is not so much a love story as it is a story about love, in all its messy complicated reality. "It is funny to see it on Valentine's Day tables," he says. "It almost feels subversive that way, but at the same time I think the reaction I have gotten so far is a real love for the book because it does reflect what people go through accurately. There are a lot of people on Valentine's Day who don't really want the construction-paper heart version of love to share with the lover, boyfriend, husband, girlfriend, wife or whomever. They actually want to share something real with them." "I'm quitting," you say. "I can't believe how wasted I was. This time, I'm really going to do it." And I tell you I'll help. It's almost a script at this point. We stopped counting our relationship in dates (first date, second date, fifth date, seventh) and started counting it in months. That might have been the first true commitment, this shift in terminology. We never talked about it, but we were at a party and someone asked how long we'd been together, and when you said, "A month and a half," I knew we had gotten there. I have summer Fridays off; you don't. So what better reason for me to take you to lunch and then keep you at lunch for the whole afternoon? Reserving these afternoons to do all the city things we never get around to doing – wandering through MoMA, stopping in at the Hayden Planetarium, hopping onto the Staten Island Ferry and riding back and forth, back and forth, watching all the people as they unknowingly parade for us. You notice clothes more than I do, so it's a pleasure to hear your running commentary, to construct lives out of worn handbags or shirts opened one button too low. Had we tried to plan these excursions, they never would have worked. There has to be that feeling of escape. You left your email open on my computer. I couldn't help it – I didn't open any of them, but I did look at who they were from, and was relieved. The doubts. You had to save me from my constant doubts. That deep-seeded feeling that I wasn't good enough for anything – I was a fake at my job, I wasn't your equal, my friends would forget me if I moved away for a month. It wasn't as easy as hearing voices – nobody was telling me this. It was just something I knew. Everyone else was playing along, but I was sure that one day they would all stop. That first night, you took your finger and pointed to the top of my head, then traced a line between my eyes, down my nose, over my lips, down my neck, to the center of my chest. It was so surprising, I knew I would never mimic it. That one gesture would be yours forever. These words will ultimately end up being the barest of reflections, devoid of the sensations words cannot convey. Trying to write about love is ultimately like trying to have a dictionary represent life. No matter how many words there are, there will never be enough. We think of them as hiding in the hills – rebels, ransackers, rogue revolutionaries. But really, aren't they just guilty of infidelity? "Why do you always make the bed?" I asked. "We're only going to get back in it later tonight." You looked at me like I was the worst kind of slacker. "It's just what I've always done," you said. "We always had to make our bed. Always." I was so nervous to meet Kathryn. You'd made it clear she was the only friend whose opinion you really cared about, so I spent more time getting dressed for her than I ever had for you. We met at that sushi place on Seventh Avenue and I awkwardly shook her hand, then told her I'd heard so much about her, which came off like me trying to legitimize your friendship, when I was the one who needed to get the stamp of approval. I was on safer ground once we started talking about books, and she seemed impressed that I actually read them. She remarked on the steadiness of my job, the steadiness of my family. I wasn't sure I wanted to be steady, but she saw my unease and assured me it was a good thing, not usually your type. We found out we'd gone to summer camp within ten minutes of each other, and that sealed it. You were lost in our tales of the Berkshires and the long, unappreciative stretches we'd spent on the Tanglewood lawn. At the end of the dinner, I got a hug, not a handshake. She seemed so relieved. I should have been glad . . . but it only made me wonder about the other guys of yours that she'd met. I wondered why I was considered such a break from the norm. Excerpted from The Lover's Dictionary by David Levithan, to be published in January 2011 by Farrar, Straus and Giroux, LLC. 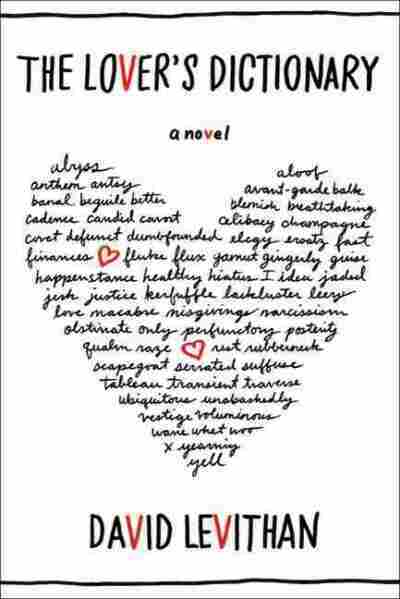 Copyright 2011 by David Levithan. All rights reserved.